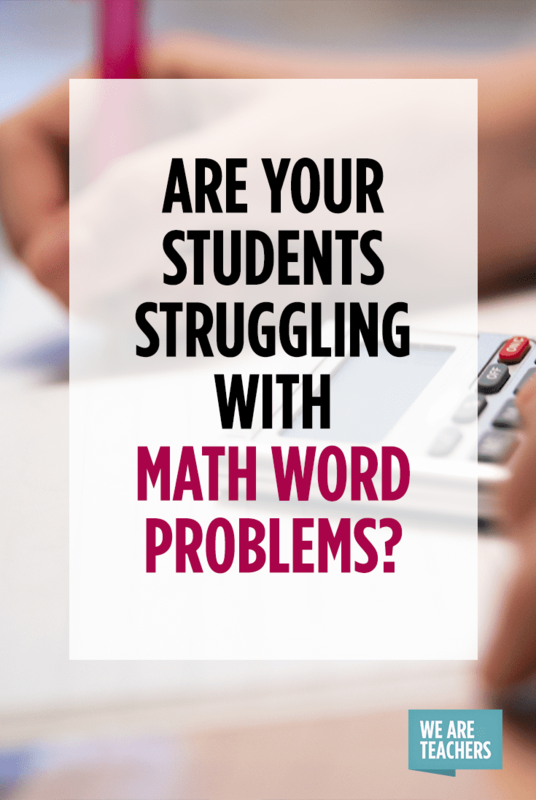 Are Your Students Struggling With Math Word Problems? Check out these Teacher Helpline recommended strategies for solving math word problems. Teacher Becky C. sent this question about math word problems into our WeAreTeachers Helpline: “Help! I am a fifth grade teacher with a class of mostly English language learners and eight students with IEPs. My students are struggling with understanding math story problems. Anyone out there have any tips to get these already struggling readers thinking like mathematicians?” Check out the awesome replies she received from our professional community. Teacher Terri L. recommends customizing problems. “Create word problems with things students can relate to. For example, put their name in the problem, talk about things they experience in their everyday life.” Most importantly, don’t give up! She admits that for her students these skills sometimes take months, or even the entire school year. Since solving word problems involves both language and math skills, many teachers expressed the opinion that it is essential to take time to explicitly build vocabulary around operation keywords that are commonly seen in word problems. 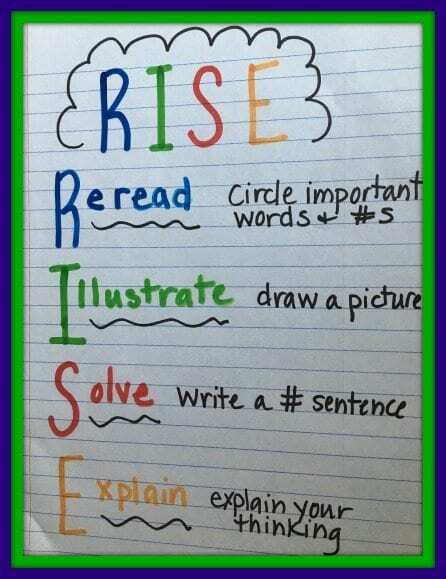 (For a full lesson plan on creating keywords, check out this link.) Here are three ways our readers go about it. Go on a hunt. “Have students hunt through their books and/or worksheets to find words that are clues for what operation to use,” recommends teacher Stephanie S. Put students in teams and give them five minutes to find as many words as they can. Record their answers on an anchor chart. Anytime another words comes up, add it to the chart. Create an operations thesaurus. Lisa J. has each of her students create a foldable that they keep in their notebook. It is divided into four sections: addition, subtraction, multiplication and division. Students record keywords as they find them. Make flash cards. Teacher Rhonda P-C has her students create flash cards. “They put keywords such as more/less/difference on one side and the operation (math symbol) on the other.” She recommends the site Quizlet for teacher that have access to a smart board. On the other hand, some teachers disagreed with this strategy. Jessica, for instance, believes “teaching keyword lists is a shortcut that leads to breakdowns in mathematical thinking.” Read her blog on the subject here. 4. Approach it from different angles. Finally, as with teaching any subject, support learners using many different approaches. For Jessica J.’s students, partner work makes sense. Kayli T.’s students like to create their own math word problems then trade with other students. 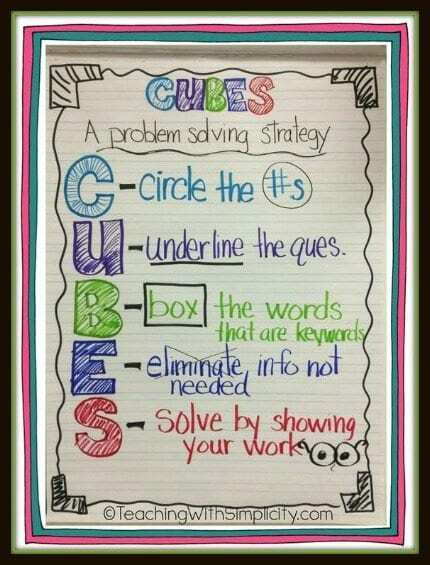 Jennifer R.’s students are learning to contemplate problems before solving. 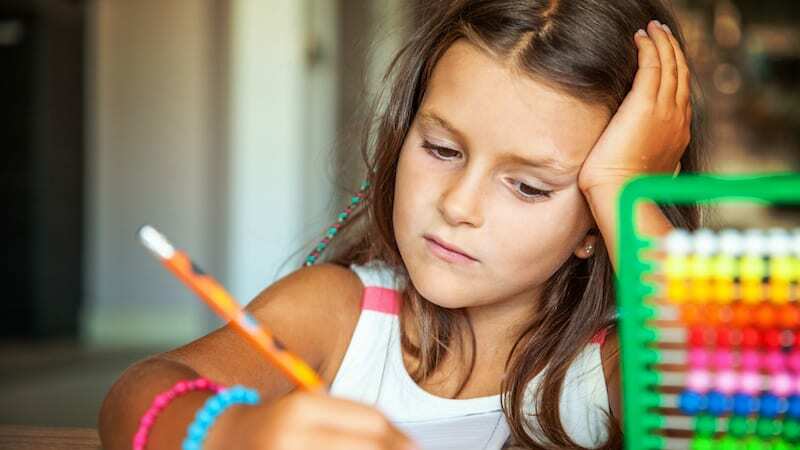 She says, “Institute a quiet rule- teach students to take a full minute to think about and process the word problem before jumping right into the math.” This helps them avoid making careless mistakes. What are your thoughts, teachers? 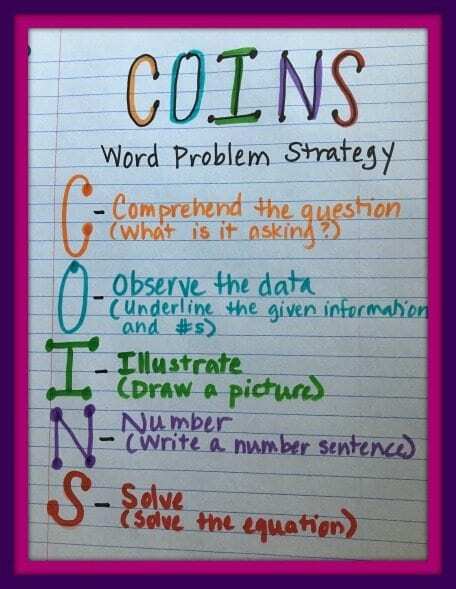 Do you have any favorite strategies for helping students understand word problems? Please share in the comments!